PhD in Social Anthropology (Cambridge University, 1981-1985), exploring ethnic relations and ideas about race in Colombia. Research Fellowship (Queens' College, Cambridge, 1985- 1988), focusing on black migrants from the Pacific coastal region of Colombia to the city of Medellín, Colombia. 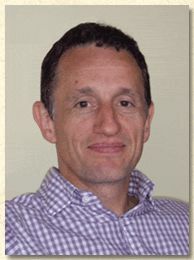 Lecturer in the University of Liverpool, jointly in the Department of Geography and the Institute of Latin American Studies, 1988-1995. Lecturer, then Senior Lecturer in the Department of Social Anthropology, University of Manchester, 1995-2002. Professor of Social Anthropology, University of Manchester, 2002-. At Manchester, I am also linked to The Centre for Latin American and Caribbean Studies. Latin American Antiracism in a 'Post-Racial' age. Is race mixture an antidote to racism? YouTube channel "Latin-American Anti-racism in a 'Post-Racial' Age"